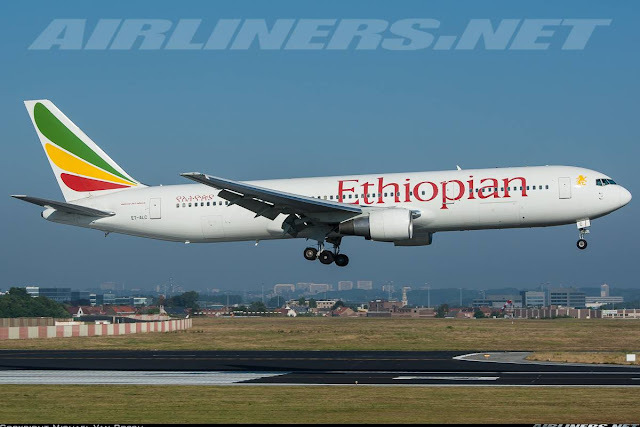 Welcome to my Trip Report on Ethiopian Airlines! I have flown with this airline before with my good friend, Bastiaan on an albino Boeing 767-300 (ET-ALL) at that time and it was disappointing not able to fly on the aircraft with the airline's livery so I knew I had to fly with this airline again and hopefully I would get to fly on one of the 767s with winglets. This was the aircraft I flew on at that time. My reaction was pretty shocked when I saw this. I had a few options from Bangkok to Singapore. The first was to fly on Scoot's Boeing 777 from Bangkok to Singapore. I have previously flown with this airline a couple of times and my experience back then was pretty nice. However, time has changed and the airline's reliability dropped a lot. So flying with the airline is a risk, why? With many routes and just a small number of aircraft, you need one or two to go out of service and that would affect the rest of the flights. Although, the air fare on Scootbiz one way was dirt cheap, I was not going to take the risk. The more attractive option was to fly with Ethiopian to Kuala Lumpur than Jetstar back to Singapore. I could have flown with the airline to Singapore but it wasn't flying on that day (only 3 times a week at that time), so KUL was where I was heading to next . The website is an improvement over the previous. I can't remember much about the previous but I know that this current one is easy to use, much user-friendly than Kenya's. Booking my ticket was a smooth affair, no problem adding in my frequent miles and choosing my seat. On the day itself, I woke up early and went for my usual breakfast spot at the Thai restaurant before heading out at 11 am. Barbecue pork noodles - Absolutely delicious. Thanks to flightradar24, I got to know what's my ride ahead of time. Very disappointed to have gotten an older Boeing 767! I was hoping for one with the winglet. A brief stop in Bangkok and the aircraft would take me to Kuala Lumpur where it would rest for 6 hours before heading home via Bangkok. Once I reached the airport, I made my way to the check-in gate. Nice boarding pass, its a pity that they tore the larger portion. Very few airlines like Cathay Pacific and Finnair allow you to keep the whole ticket. I was originally seated at 14F, but decided to move to the rear cabin instead. Picked up a drink and cake while waiting for departure. Kenya Airways 787 was heading to Hong Kong! Thanks for the memory, 5Y-KZB! 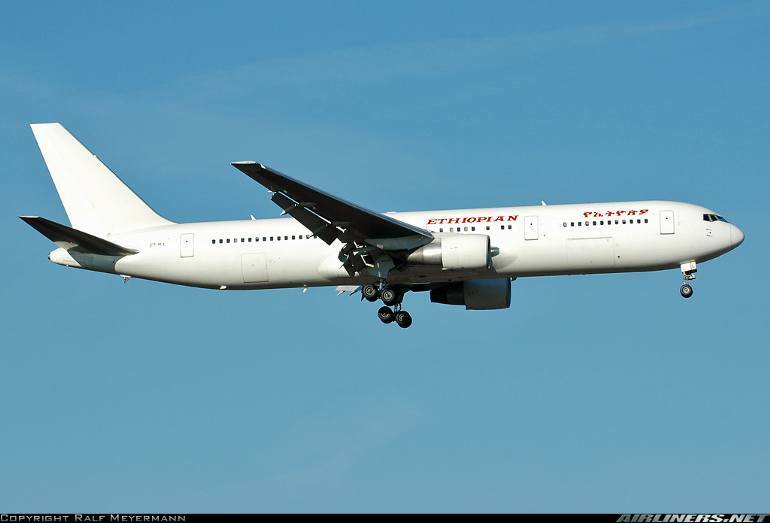 My aircraft, ET-ALC an old Boeing 767-300ER was taking me to Bangkok! 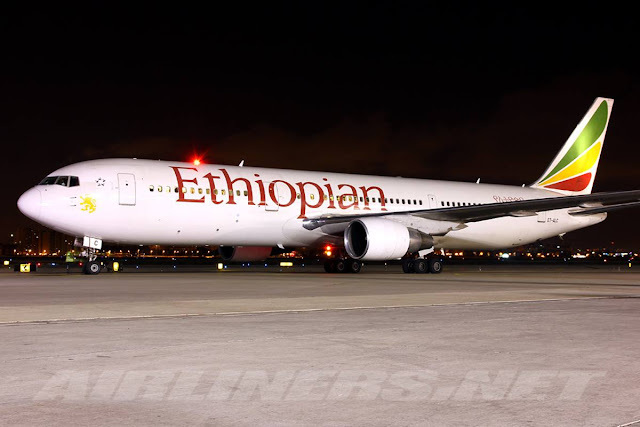 There were very few passengers boarding this sector, more of them were on board flying from Addis Ababa, Ethiopia. When I entered the cabin, I was greeted by the African crew and saw many Africans on board. Some of them were walking around and taking photos. The atmosphere on board was lively and none of the passengers misbehaved, that was the most important thing. The cabin interior was showing its age and without PTVs during this era, its quite disappointing for some of us. For a short flight like this one, it didn't matter for me. Here are some photos of the cabin. J class seats - looks great! Reading a book on board this flight for many hours may be a good idea due to the lack of IFE system and even the overhead projector doesn't show much interesting stuff. Feels very ancient, right? Well, the airline will be replacing these Boeing 767-300ERS with Boeing 787s. So enjoy these aircraft while they are still around. While boarding was still taking place, I took the chance to snap more photos before the door was closed. The seat isn't very comfortable, the cushion was hard but the legroom space was decent. Aircraft was pushed back and we taxied to runway 19L for a quick take-off to our destination, Kuala Lumpur. I wonder whether this control was working, don't think the airline will repair it since the aircraft is due for retirement. Pillow and earpiece were provided on my flight. I had a choice between the chicken and fish, I decided on the fish and it wasn't too bad. The carrot was a bit tough to chew but the dessert was decent. If the meal is awful, the best thing to eat is the bread, you cannot go wrong with that. Don't mind the poor quality, due to the dirty window. Most of them were in this condition. From take-off to landing photos. Ethiopian 618, clear for take off, runway 19 Left! Goodbye, Thailand! I will be back soon. The seatbelt sign came on a few times as we passed by some choppy weather along the way. Nothing too bad. My flight experience with Peach Aviation has mademe overcome the bad turbulence, so if you encounter one, don't be afraid. This sort of turbulence will NEVER bring an aircraft down AND also the pilots CHOOSE the smoothest route to get you to your destination. Do they like choppy condition? Just like you, No! They want you (the passengers) to enjoy the ride as much as possible. Landed on runway 14L and it was a good landing. Vidoes of the take-off and landing! My 2nd experience with Ethiopian Airlines ended on a high note even though it was a huge difference between Kenya's 787 and this old aircraft. I felt like heading back to the past flying on the airline's old 767. The cabin service and the joy of riding an old but reliable 767 make up for it. The airline will be replacing this old workhorse soon, so bear with it if you flying on one. I hope to fly on this airline's 787 to compare with Kenya's and I am looking at Hong Kong to Seoul for next year (2015) or fly to Europe when the airline operates the 787 to Singapore. So if you want to experience the best of Ethiopian Airlines, avoid the Boeing 757 and 767. Fly the newer aircraft such as the Boeing 777-300ER and Boeing 787 Dreamliner. I can't comment about those as I haven't flown on them yet but looking at trip reports so far, you should go ahead and try them. This airline will also be operating Airbus A350 in the near future, so exciting times ahead for this airline. Ethiopian Airlines is a member of the Star Alliance, you are able to earn miles using any of the other members' alliance program. So fly this airline with confidence, its reliable. Thank you for reading! If you have any questions, feel free to ask.